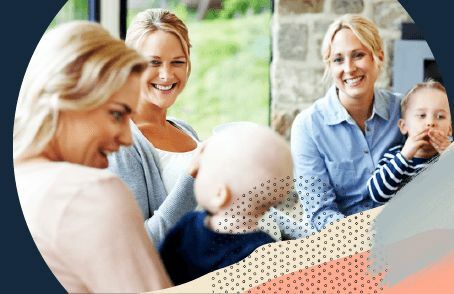 In this Baby Formula comparison, you can find out what the Tell Me Baby community thinks are the top Baby Formulas on the market. 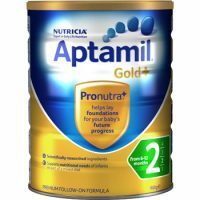 Aptamil Aptamil Gold+ 2 $26.95 4.7 15 "We used this formula when I naturally stopped breast feeding. 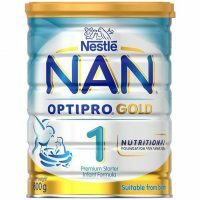 We found this product to be good with our baby- no concerns we wind, constipation or vomiting..."
Aptamil Aptamil Profutura 1 $31.95 4.5 15 "My sister used this for my neice and had nothing but positive things to say about it..."
Nestlé Nestlé NAN Comfort 1 $21.99 4.5 20 "This is a great stage one formula to transition your little one onto from either the very beginning or from breast milk..."
Nestlé Nestlé NAN OPTIPRO 1 Gold $24.99 4.3 16 "My daughter drank this straight away and have never had an issue with it at all..."
Bellamy’s Organic Bellamy’s Organic Step 1 Infant Formula $29 4.3 23 "This was recommended as it apparently tastes like breast milk. It took a while for our son to take to it, but when he did, there was no stopping him..."
Aptamil Aptamil Gold+ 1 27.95 4.2 17 "We used aptimil gold after my girls came out of the nicu. They both at first had no issues with it." 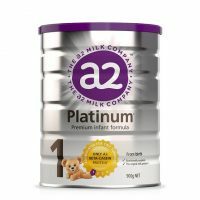 a2 a2 Platinum Premium Infant Formula Stage 1 $35.60 4.1 15 "When I was pregnant I was searching high and low for the best recommendations on formula and this was the formula that kept coming up with majority good feedback so we went with it..."
S-26 S-26 Original Newborn $19.99 3.9 11 "We had no issues with it whatsoever. 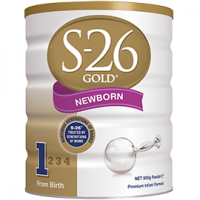 It seemed to keep him full for quite long and had no issues with tummy aches or constipation..."
S-26 S-26 Gold Newborn $24.99 3.6 18 "I used this formula with my daughter and never had any problems..."
Choosing the right baby formula for your baby can be a bit of trial and error as there are so many options available to you. It’s always a great idea to ask your Midwife or Doctor for advice on the formula they might recommend for your own baby. 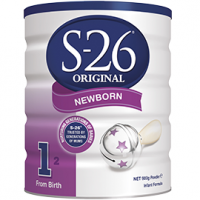 The table above will help you to find many Baby Formula reviews on this website. 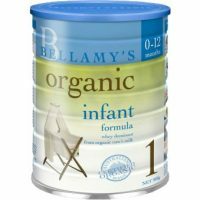 The Tell Me Baby community has reviewed the baby formula they have purchased themselves to share their honest feedback. As well as providing a detailed review, these parents have also given their product a star rating out of 5. Check out the baby formula reviews to read real, genuine reviews from parents who have tried and tested each of these products with their baby. Then use this information to make an informed decision when you are buying baby formula for yours.